Cheers! 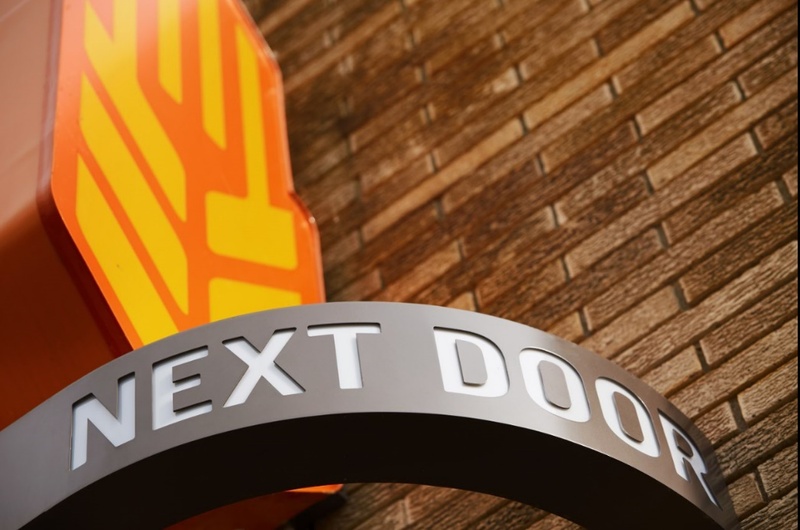 - Next Door Brewing Co.
You can now get your favorites delivered with GrubHub. Click the GrubHub icon above to order now. 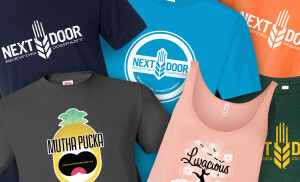 Click here & check out our new shirts, hats & other awesome merch! We are a locally-owned micro-brewery and restaurant embedded with neighborhood spirit. 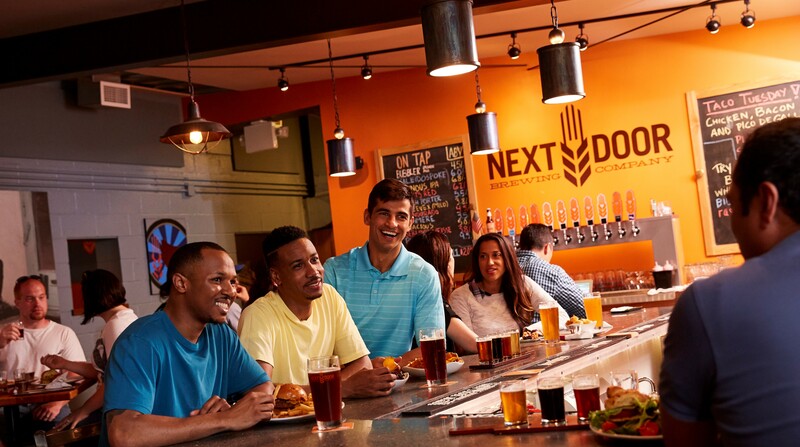 Great beer & food is what we are about while offering an environment for our customers to enjoy. Our beer is handcrafted in small batches and served just a few yards from where it was brewed. 12 craft beers will be on tap at any time, ranging from our core beers, to a wide variety of seasonal, creative and collaborative brews. We are known for our fermented flights featuring our house flight of all 12 taps. Next Door Brewing Company opened in Madison, Wisconsin in 2013. Demand for our beer grew and in December 2015, we launched distribution in the greater Madison area. Distribution grew quickly and we are now available across southern Wisconsin. Check out our fun upcoming events.